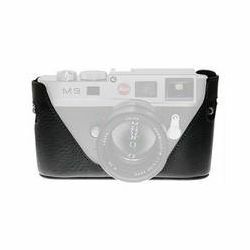 The black Black Label Bag M8/M9 Half Case is a must-have accessory for your brand new Leica M9. It also fits the M8 or M8.2. Its contours fit the Leica digital rangefinders perfectly. Its open back allows easy screen viewing and its authentic Italian leather is the stuff of old world craftsmanship. This case was entirely made by hand in New York City by skilled artisans. Produkt został dodany 14.08.2014 15:31. Ostatnia zmiana danych produktu miała miejsce 14.08.2014 15:31.